Home » Latest News » Adoption » Animal Protection » Microchips in Dogs: Are they Useful? Microchips are mandatory in most countries, but are they really useful? In this article, we'll explain how a microchip works and all its advantages. Having a new pet, especially if it’s a puppy, can be very expensive. One of these expenses is microchips in dogs, and today we ask just how useful they are. Microchips are very small devices, like a grain of rice, that a vet inserts into an animal’s neck. They have an alphanumeric code that stores the owner’s data in a database. 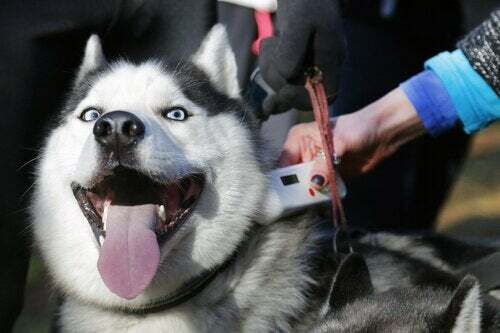 If someone finds a lost animal, they can decode the microchip’s barcode with a special device, and in this way locate the dog’s owner. When the owner realizes his pet is missing, he can access the files where his animal is registered. He can then start a search in the kennels to see the most recent arrivals. The device can then alert the system that stores the data and unite the pet with his owner. However, there are professional pet thieves that are capable of hiding the chip so that the owner won’t be able to locate his pet. This happens most often with expensive breeds. What are the deficiencies of microchips in dogs? There is no national registry. For example, in Spain, there’s no national registry for pets. So, if you lose your pet in one autonomous community and it ends up in another, there won’t be any record of the animal in the second region. To improve this, Spain would need to unify all the autonomous communities’ registries in order to locate any lost animals. Throwaway Puppies: Don't Abandon Them! Owners’ lack of awareness. Very few owners know that there’s a number they can call if their pet disappears, is stolen, or gets lost. In the case of theft, it’s essential to call this number as soon as possible to avoid giving the thief more time to erase the data. Your vet will give you this number when they insert the microchip, and you should always have it on hand. In addition to helping locate lost animals, these microchips are also used to help eradicate abandonment. Although in general this has been achieved, it hasn’t been to the extent that people had originally hoped for. Data update. If the animal’s owner changes his address or phone number, then this information needs to be updated. This will help to locate the owner as soon as possible. In the event of the owner passing away, then there should be information about next of kin, so that they can take care of the dog if he ends up in a rescue center. Notifying the system. If the owners don’t notify the system about the disappearance or theft of their dog, then it will be very hard to recover the animals and return them to their owners. However, despite these small deficiencies and the improvements needed, microchips in dogs are generally very useful. Thanks to these microchips, people have been able to locate countless lost animals. For example, in Spain in just 2011 alone, they were able to find a whopping 13,400 animals thanks to microchips. Additionally, there is now a European network that includes all animals that have this device. So, if your animal somehow ends up in another part of the continent, it’s perfectly possible to find him. Of course, you have to remember to report his disappearance.